Do not turn on your heel and run. I PROMISE you this post has nothing to do with the “Frozen” song. I would not do that to you, peeps. Especially after too many of us having to sit through umpteen versions of this song in school talent shows. Is it really wise to allow eight versions in the space of an hour? Has any human rights group looked into this as a violation of the Geneva Convention? I am talking about the letting go that occurs when you finally talk turkey with yourself. The Boden catalog has beckoned me for years to peruse its pages and order away. In our salad days, we were happy, the catalog and I. But soon enough, an interloper came between us. 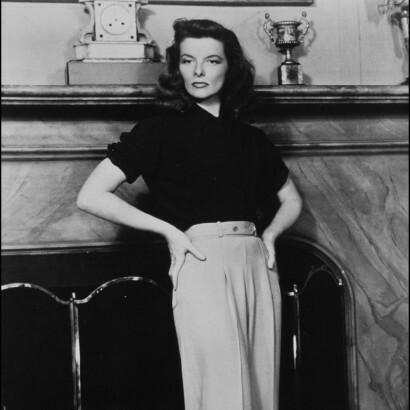 Boden, you see, designs for Katherine Hepburn bodies. Mannequins without hips and a large chest. They tend to be more straight up and down, quite thin with just the slightest hint of a curve here and there. I love this season’s Audrey Hepburn-esque looks from Boden. I want to slip into the parfait-colored pumps, slip on the flirty skirt with fitted silk blouse and Breakfast with Tiffany’s my way into weekend brunch. 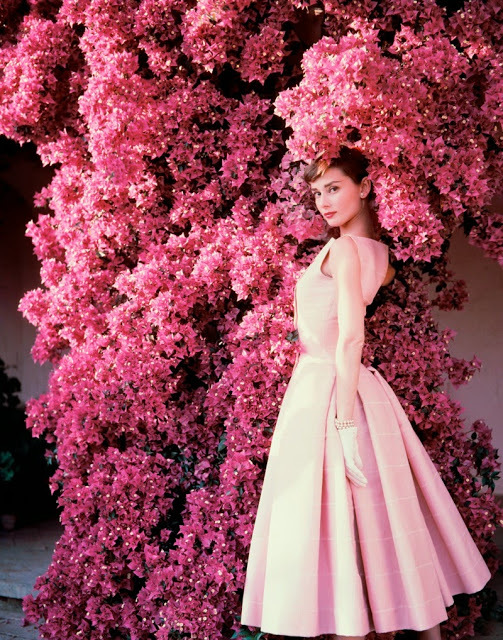 But when I try the outfit on in the mirror, I am not Audrey Hepburn. I’m not even Audrey Hepburn’s frumpier older sister. Oh, Boden. Where did we go wrong? I have to let you go. Season after season, I try so hard to fit into your mold. And I just can’t. Call it genetics or my love affair with cheese and red wine. Maybe both. But you and I are not meant to be. I’ve let it go. I’m off in search of Brazilian designers who design for my Sophia Loren body type. If only they had a catalog. I recently cleaned my closet. I let go of the pants that no longer fit, the wool that looks good but makes me itch to no end, the shoes that pinch my toes. And as long as I’m in release mode, I’ve decided to let go of guilt about my addiction to “The Good Wife”, my shame over the occasional Taco Bell soft taco supreme, my hope that I will delight in barre class versus just gamely grunting and getting through it. Maybe it is letting go of my image of what should be, my wishful thinking, and accepting what is. It’s really freeing. To drop the judgments, the striving. They are not Heidi Klum’s hips or thighs, but mine. Not as “perfect” but perfect because they bore two beautiful children, help me run my slow three miles on the treadmill, get me through my day. Yes, I have junk in my trunk. This girl has back. And then some. Probably enough I can lend you some if you’re shy of a bit. But feeling like I don’t measure up to the standard in a catalog, a TV show, a room full of suburban mothers who don’t work, let alone the hours I do? That is a burden I’m letting go. And psst . . . on the days it is tough, here is what I watch. My best bet is on the catalog that has you as an all-around beauty from head to toe, Kay, mind, soul, and the body that’s carried them to where you are these days. Aw, Mark–thank you! Here’s to that catalog being created:). The two Hepburns were idols to me. I love their spirits and tenacity. And the way they aged naturally…gorgeous. But the message you bring is so much more. We need to learn to let go of our ideals of what beauty is and accept ourselves as we are. Bravo. Renee–I agree! Both Hepburns have always inspired me with their style and verve. Wish we had more like them today–and in all sizes:). Love the video and “here’s to normal women” and being ourselves! Sounds like you’ve taken a page or two from “The Life Changing Magic of Tidying Up”! If it doesn’t spark joy, get rid of it! Good on you. I especially applaud your decision to rid yourself of guilt over watching The Good Wife – I devour seasons at a time! Oh yes, that elusive search for our 20-something bodies. I know mine’s here somewhere. If I just diet enough or do the right kind of yoga, it will come back to me. Sure it will. And you’re right. There comes a point when we have to accept ourselves for the way we are now. Been trying to let it go, that little extra tummy bulge, but dudes in my office keep reminding me it’s there! I’m not plus sized but I have a lower tummy bulge which could have been flatter if our Malaysian cuisine has less oil, fat, fried foods, coconut milk and sugar, or if I was hardworking enough to do more planks and burpees! Hahaha..I have let go of the notion of ever achieving the Heidi Klum figure but my goals are to just be active, go to the gym 2-3x a week and be happy. A male-chauvinistic guy in the office commented to me once in a meeting, hey, i see you have put on weight huh…I responded boldly, no, I did not put on weight, these are my curves and I love them! I received a huge applause in that meeting! 🙂 P.S. Love that youtube video..
What an idiot in the office! And I plank too. Just not a favorite:). Happy to report that for the first time in sixteen years I am actually having to “let go” of clothes that are now too big for me, as I am finally winning the battle of the bulge and going down, down, down. Good for you, it’s joyful to let go of who you’re not and be exactly who you are. Beautiful! No wonder I never discovered Boden; they don’t even sell plus sized clothing. I was a size 14 in high school, and recently figured out why my shirts always seemed to small: they weren’t designed for large busted women (girls). These days I’m definitely plus sized, and with having lost a significant amount of weight last year, literally got rid of 98% or more of my wardrobe. It feels good to not have an overstuffed closet. Now the challenge remains to go through the house and do the same. Congratulations on settling more into yourself. Ah, yes. Plus sized. Sigh. I don’t like the term. I have a fairly flat stomach, toned arms, a waist, etc. but because I am curvy (read: Hips, junk in the trunk, a chest), I am somehow considered outside the “norm.” I think the norm needs to be reconfigured! I hate that term too. Oh? You mean you have a shape! The norm is skewed. We need to go back to Marilyn Monroe’s time… when women were women. I agree! I think you sound perfect. That is the best feeling letting it go! And bless you for reminding us it isn’t about that song AGAIN! HA! We have to let things go so we can get on becoming the best us we can be! I absolutely loved the video and book marked it! Fantastic! I’m smiling and laughing and feeling wonderful after reading your post and watching the video. This is why I love writing. Because one person’s thoughts can have such a powerful impact on another human being. Thank you! I feel better about myself after reading your post. Thank you, Christine! I’m not sure you could have said anything that would make me happier:). FA-BU-LOUS!!! Buh-bye Boden! Hello Real Woman… when you find that catalogue for the Curvaceous, nay, Rubanesque Rockin’ Babes, let me know, k, Kristine? Real men love real women anyway… absolutely adore that video and have shared it left, right and centre! I will, Dale! Hoping it exists:). I love that video too. Run to that song on treadmill and think of all my compadres out there:). ok, so now you have a little inkling where your older sister is coming from. I would rather be frumpy & comfortable then chic & stylish & uncomfortable as heck. I suppose one can be a bit of both both give me flannel pjs in the winter, comfortable shoes, etc etc. I have always just known you have bigger fish to fry, Anne:). Love you! I did something similar six years ago, different catalogs and reasons but same wardrobe decision. It wasn’t too long before the idea caught on with where I lived as well. I just did not need/use so much “stuff” nor did one person need so much space. I was not too happy with my footprint on this planet, carbon or otherwise. I did find places and people who seemed to want, genuinely, items that had so much life left. It does feel good, just as you say. I am right there with you.